Two hamsters joined our family a few months ago. My daughter was eager to have a pet. So I thought a small one would be nice to take care of. 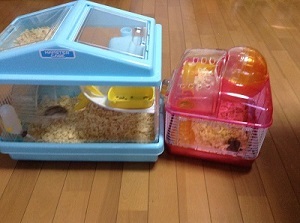 We bought two one-month-old hamsters at a pet store. They were both male, of course. If they were a breeding pair, we would be troubled by a lot of baby hamsters. 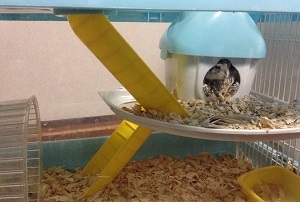 At first, I let them live in the same cage, but one of them wasn’t active. The other one ran around energetically. 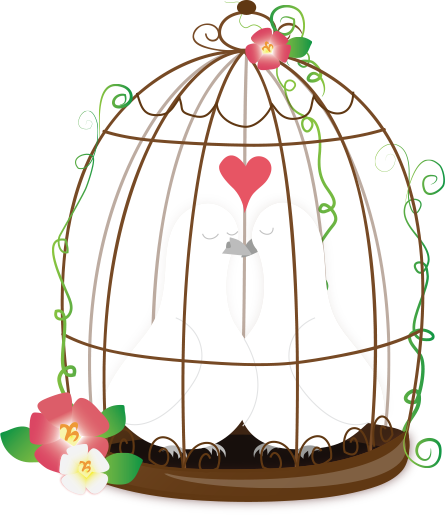 I thought they weren’t getting along well and bought another cage to keep them apart. However, the inactive one died soon after this. The active one is still alive. 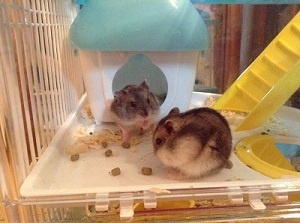 It is said that the lifetime of hamsters is only two years. How short! On the other hand, my daughter is leaving home. She was accepted to a college which is located far away from home. Recently I’ve been busy for helping her move. In Japan, the new school year starts in April, not September. I think spring is a good season to start something. I wish her good luck with her new life!